Greetings, dear readers! I am back home after my trip to New York City and my body has no idea what time zone it is in! Hopefully another day or two and everything is back to normal. I'll have my post up on The Makeup Show soon so keep an eye out for it! For this evening's post, I am excited to share with you the upcoming Harry Potter Spells Collection by LynB Designs. It has been a little while since Jenna, the creative mastermind behind the brand, has released a Harry Potter inspired collection, and I am excited to see one inspired by the spells! I've been a fan of the books and movies for a long time now; it is always fun to see someone's interpretations of the various elements of the story! Now on to the photos! A deep red polish with pink to orange flakes and red orange holographic shimmer. This polish is beautiful and these photos just don't do it justice! The colour is fabulous, and the formula was pretty easy to work with. I did have the occasional flake overhang off my nails, but they were easy to just pull off or push back up onto the nail. A mauvey base with intense blue to purple to red to orange shifting shimmer and holographic micro shreds. 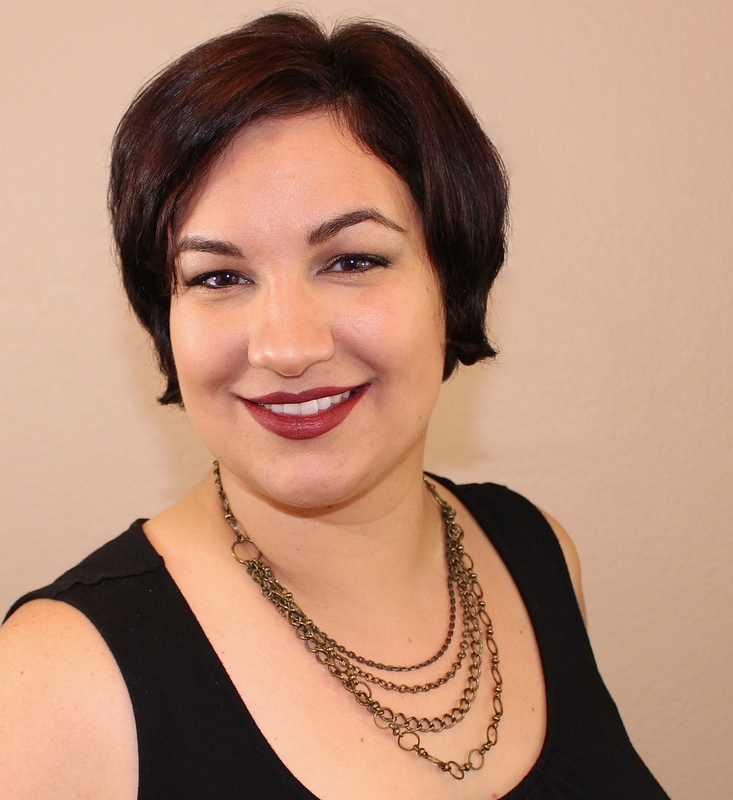 I love everything about Obliviate! It just might be my favorite shade in this collection! The formula was not too thick or thin for my taste and applied perfectly! A black base polish with red to copper to gold shifting shimmer and orange to green shifting micro glitters. Accio! is another stunning from this collection that is sure to win a lot of hearts! The formula is top notch and applies beautifully to the nails. Purple to green thermal with green to blue to purple shifting shimmer and blue to purple shifting flakies. 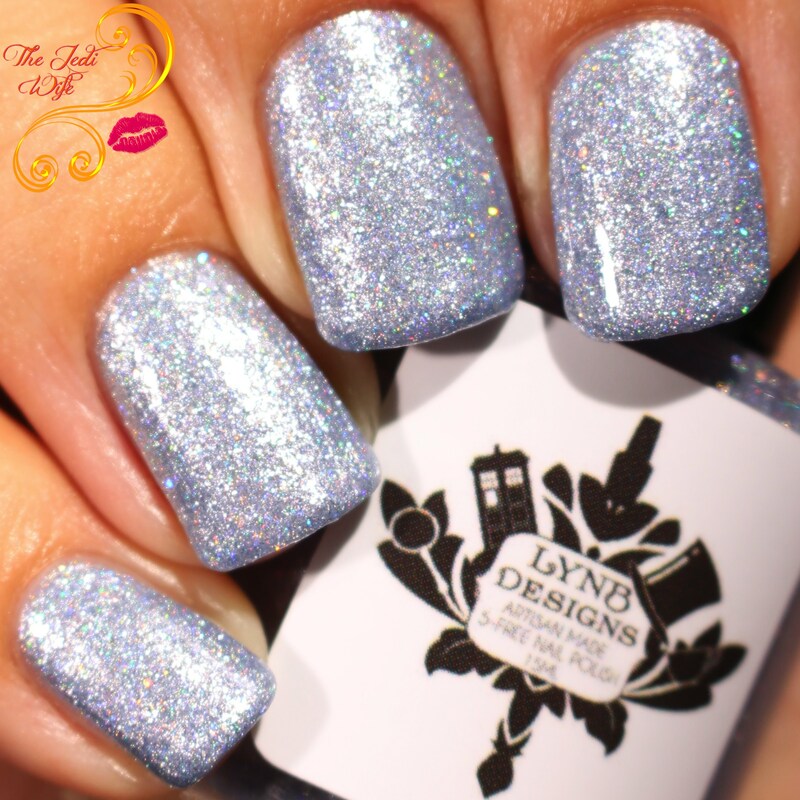 It is so exciting to see LynB Designs putting out thermal nail polishes! Seafoam green in a warm state and purple in cold, I adore both the versions of this polish. The formula is nice although I found the application to be a little tricky. Between the colour change of the base and the colour change of the flakies, it was surprisingly tricky to determine how to evenly polish my nails. While this is entirely a personal issue, it is something to note as others may have a similar issue. Icy blue foil base with intense holographic shimmer and holographic micro shreds. This is a great shade to help cool things down when the summer days come around and get toasty. It can be a little streaky, but it does apply well with careful application. A medium green leaning teal base with gold to bronze to silver flakies, holographic sparkle, and copper shimmer. This is such a fun colour and unique to my collection! Not only is the colour stunning, the formula is fantastic to boot! The Harry Potter Spells Collection will be launching on the LynB designs website tomorrow at 12 noon Eastern Time. Each of the shades will retail for $10, but you can purchase the full six piece for $60 and get free shipping with discount code HARRY. Which shades are your favorites from this collection? I'd love to hear from you! She did a fantastic job with this collection! Obliviate is so pretty--they all are, what a great collection! These are all so pretty. I like Obliviate and Expecto P... the best. There are a few total lookers in this collection! I really like Ridikulus and Accio! That is a gorgeous collection! I love Accio and Riddikulus. All of these have such dimension and sparkle. Gorgeous collection. These are so intricate....expecially Oblivate. I've never seen anything else like it.